Looking for the top most liked picture on Instagram ? 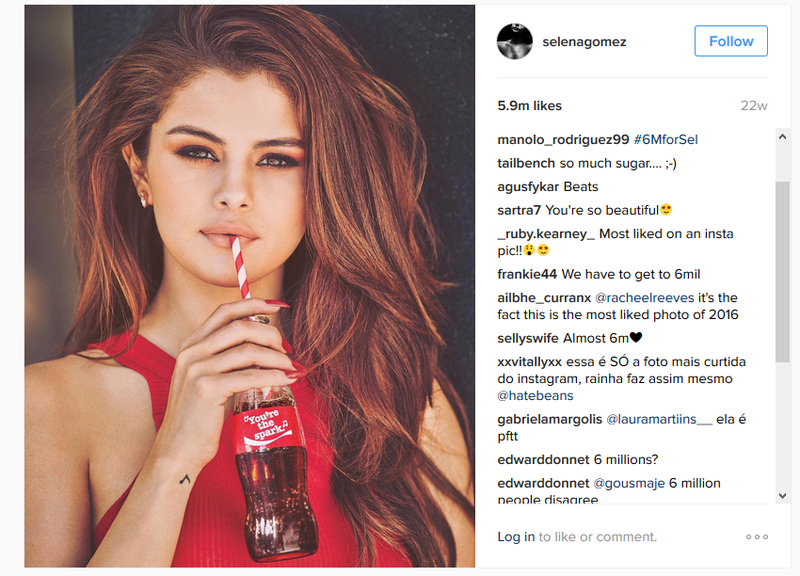 Selena Gomez has out posed, out-pouted and outperformed even the biggest of celebrities on instagram, namely rivals Katy Perry and Taylor Swift, to take out the top gong of all Instagram users in the world with millions of Instagram likes and follows. More than millions of downloads, lots of people are actively using the Instagram photo sharing social app by Facebook, which says people use the platform to “connect with the global community”. But Gomez, whose celebrity is yet to reach peak heights Down Under, has stolen the limelight with more than 6 million likes and growing. With over 103 million followers, she’s the most popular person in the world.